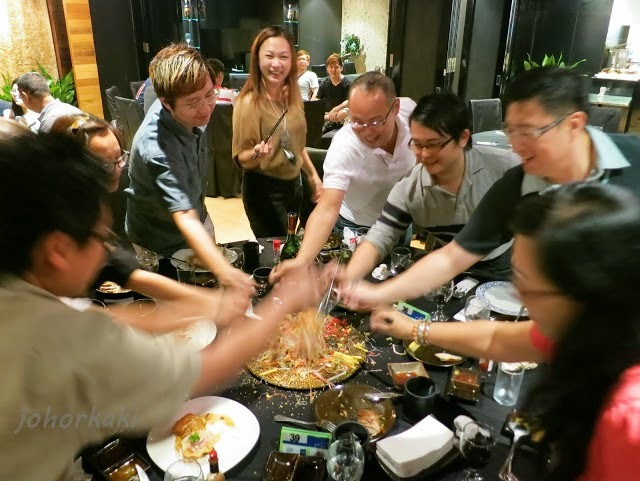 Nothing gets a Chinese New Year get together to a more rousing start than an energetic lou hei yee sang (or yusheng) 捞起魚生 raw fish salad tossing session. Originally an informal Chinese New Year custom among Southeast Asian Chinese, lou hei yee sang has since spread to other Chinese communities around the world. 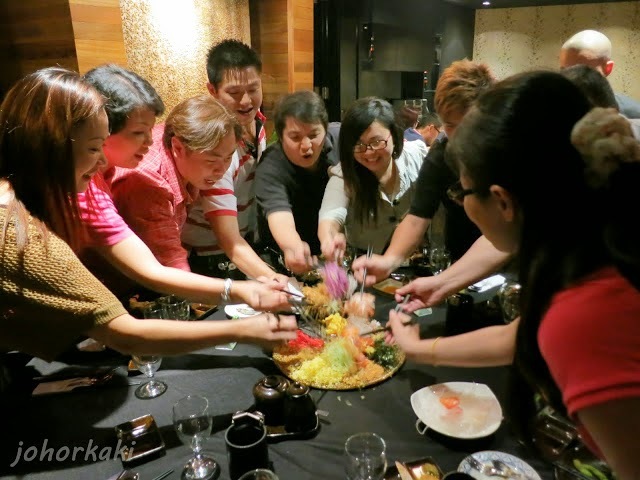 Nowadays, at Chinese New Year gatherings, a customary round of exuberant lou hei yee sang is almost mandatory (especially in Singapore and Malaysia). Lou Hei Yusheng is essentially a salad with all the ingredients selected because of their auspiciousness. So when the revellers toss the lou hei yusheng, they will shout out the auspicious phrases with gusto. Few things bind family, friends, and communities together like shouting out and showering well wishes and blessings on everyone in unison. These auspicious greetings can also be used anytime during the fifteen days of Chinese New Year celebrations. 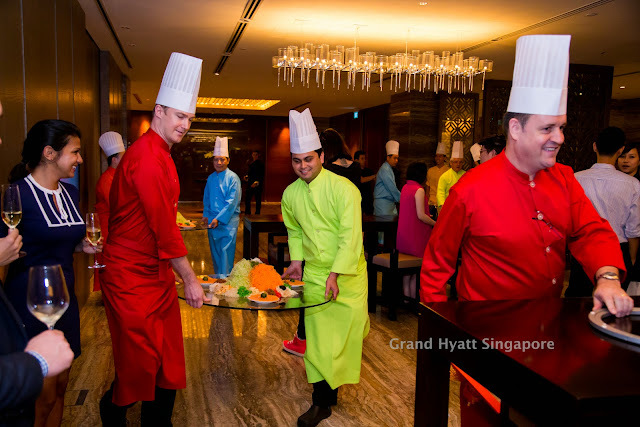 Watch the story of lou hei yee sang as told by the Four Heavenly Kings 四大天王 of Cantonese cuisine in Singapore. May I wish everyone kong hee fatt choy! 恭喜发财! May you be healthy, wealthy and prosperous! Thanks for such a comprehensive and informative post, Tony. I'm English-educated and thus, had only a shallow understanding of why certain ingredients are selected for the yusheng. Glad it helped. I had lots of fun and learnt a lot while compiling this list. Happy New Year! Really comprehensive explanation on the YEE sang ingredient! Me too :-D I learnt a lot of things I didn't know before while writing this post. Happy New Year! Interesting post! At least now we know the real meaning behind lou sang. Happy CNY! Thank you Miriam. Happy New Year! gong xi fa cai!.. so i was told the yee sang tossing isn't prevalent in China, and its mostly a singapore/malaysia thing, not sure how true is that though. Yes, it's a Malaysia and Singapore thing :-D It's spreading around the world though because it is so meaningful. hohohoh..this is details post and i enjoy reading it. i have been loh sang and yee sang for many years and this is first time i read a good meaningful explanation of what i have been tossing. Thank you! Thank you Cindyrina. Glad that this is helpful. Wish you a Happy New Year! Gong Hei Fa Choi!!! Wish you an advanced Chinese New Year! Thank you! Happy New Year Lola! Really cool stuff about the meaning of Yeesang ingredients. I have a suggestion, can you please make a graphic about what you just explained in this blog post. I think expats like me would love to read about Yeesang ingredients' meanings because we do find Malaysian culture really interesting. Thank you Sil. Great idea! You guys look cool when 'lou sang' and thanks for your useful phrases! haha. Happy New Year Yoke Ching! wow!!! the lao sang looks very nice!!! Gong Xi Fa Chai!!! It's a great traditional. So fun and meaningful to do together. Wish you a Happy New Year! It's so fun and meaningful right? Glad that it is useful. Happy New Year to you and family Leona. I love to toss Yee Sang. It brings the feel good and happy feeling. Wah..a lot of research done! Very informative! Thumbs up!